After a slew of 7”s, a couple EPs and three albums, Germany’s Neon Bone have had a long time to perfect their brand of pop punk. 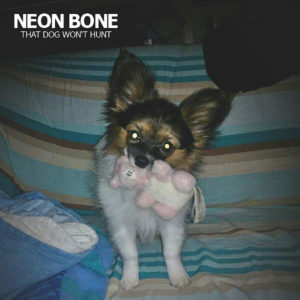 On their fourth full length, ‘That Dog Won’t Hunt’, they’ve not quite turned in the perfect pop punk record (the benchmarks set some, including the Ramones’ ‘Leave Home’ and The Apers’ ‘Confetti On The Floor’ are hard to beat, to be fair), but bringing things closer to home, it’s easily be the best Neon Bone offering so far. In fact, it’s bloody great. 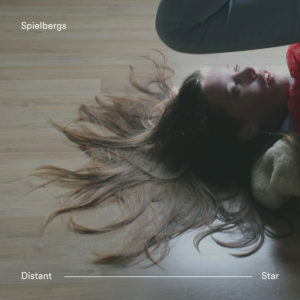 One of the best things to come out of 2018, Spielbergs are the best band from the 90s you’ve never heard. Their debut EP ‘Distant Star’ is also the first release on a small UK indie label, By The Time It Gets Dark, and between them, they have a potential classic on their hands. This EP is a real adrenalin hit for anyone who loved shoegaze and goth sounds in the 90s; a sharp reminder – if needed – that they do make them like they used to. It’s the kind of release that could make similar bands raise their eyebrows, give a collective shrug and throw in the towel. This might sound like mere hype, but frankly, ‘Distant Star’ really is that good. It’s got the haunting piano of parts of Nick Drake’s back catalogue and the deep, chocolatey tones of Gomez. The new single from British alt-folk act Roo Panes is a maudlin treat, indeed. Taken the their forthcoming album ‘Quiet Man’, out via CRC Records on June 15th, if the new single is indicative of the rest of the full length, those who like a deep, late night listen are in for something very enjoyable. King Pizza Records are about to host their fifth self-curated festival, the aptly named PizzaFest 5. The event brings together sets from label favourites The Rizzos, Sun Voyager and The Mad Doctors alongside Night Screams, Glass Slipper, Narcos Family Band and more. Do you like buzz-saw guitar sounds and supercharged riffs? Are you ready for something that sounds like a cross between Fast Cars and The Hives? Then you love The Cavemen.